Last month’s decision by the Department of Ecology to deny Millennium Bulk Terminals – the proposed export terminal in Longview – its water quality permit was a shocking announcement. The decision makes a mockery of the state’s regulatory review process and will have broader implications on Washington. 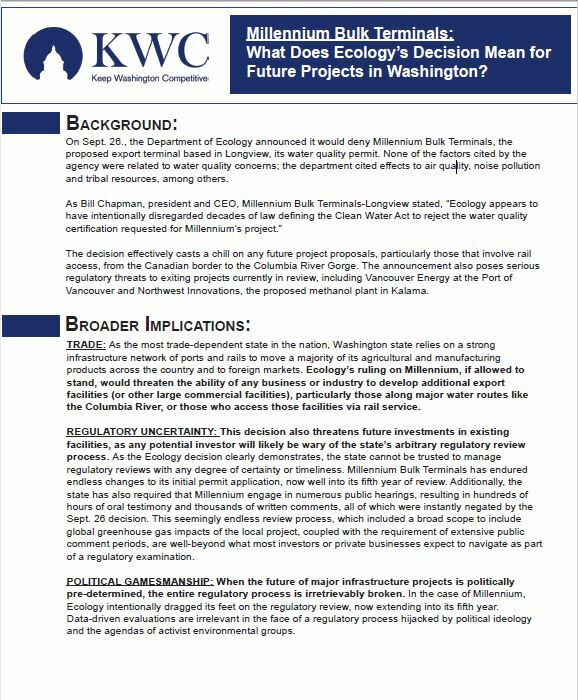 Check out the document below to learn more about the serious implications this decision could have on future projects in Washington.